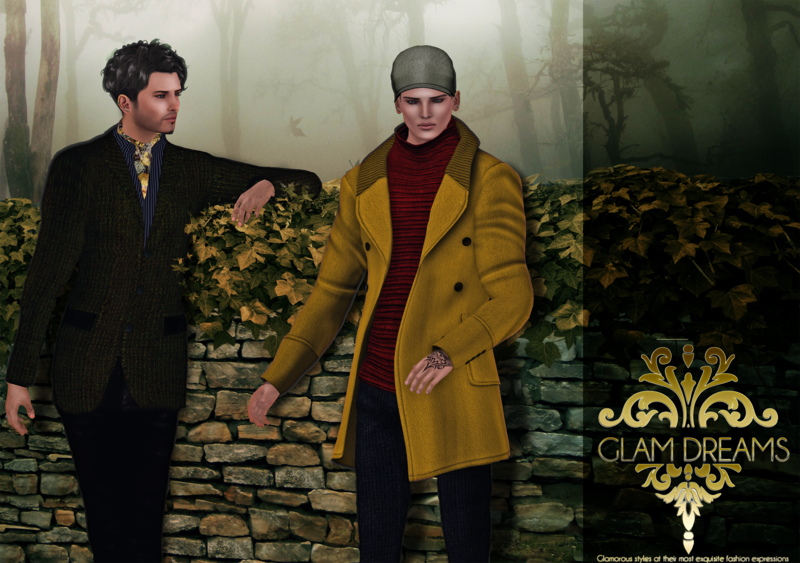 News for men by Glam Dreams. On left: “Balmaina” Men’s Green Outfit, a two-pieces outfit made by a green pinestripe jacket and black leather pants wearable separately. On right: “Balmaina ” Men’s Gold / Maroon Coat, a two piece ensemble made by a cool yellow gold coat with horizontal striped shirt under and dark navy pants, wearable separatley. Both the oufits are mesh, 5 sizes tomake it fitting you perfectly.